The Castro Valley Orchestra (CVO) is a class of the Castro Valley Adult and Career Education school, part of the Castro Valley Unified School District. We operate as a regional community orchestra. Directed by Josh Cohen, we have been in existence continually for over 15 years (our inaugural concert was on December 12, 2002) and play 3 to 4 concerts per year. Many of you may be wondering how it came about that Castro Valley now has an orchestra. In December of 2000 my son Aron Efferson, who plays cello, won the Jenny Lin award and received a scholarship of lessons with Dr. Allan Gove, teacher extraordinaire. As I attended his lessons I was inspired to pick up my cello again, after a hiatus of 17 years, and began to take lessons myself from Dr. Gove. After about a year and a half I began to look around for a local group to join, but could not find one. I did not want to drive up to Oakland or out to Livermore. Then, one evening, as I was listening to one of Aron's concerts, I thought to myself, why not start an orchestra in Castro Valley? I thought that Jack Luedders would love to conduct it himself, but he was still planning on working at the time. I then discussed it with a friend Mark Spencer (switchboard operator at Eden Hospital), who happened to have experience as an orchestra manager in a previous life, and he said (in a nice way), "Are you crazy? Do you have any idea how much work this is going to be?" He then provided me with numerous resources to help me begin. We then approached the Adult School and found that Director Dobie Gelles was more than willing to help us, by offering a class through the school. Dobie's staff then worked tirelessly and graciously to help us get organized. He hired Josh Cohen as Music Director, who has donated enormous amounts of time to get this venture off the ground. We were also fortunate to have Assistant Conductor Asher Davison join us, who volunteers his time in helping to develop the program and give guidance throughout the process. Through weekly meetings of our core "board members", including composer in residence Terri Schmidt, Josh Cohen, Asher Davison, Mark Spencer, new members Todd Wetherwax and Darryl Berk, and myself, we have put together Castro Valley's first community chamber orchestra. Regarding our future, we are happy to continue with the Adult School, and have in addition decided to form a non-profit corporation (The Castro Valley Chamber Music Society), which will enable us to do fundraising to pursue musical goals such as offering scholarships to local performers or students to play with us as soloists, pay our assistant conductor, purchase music, buy music folders and many other things. There will also be a change in venue for concerts in 2003. We played in the beautiful Neighborhood Chapel, thanks to the support and generous goodwill of Music Director Les Neal. 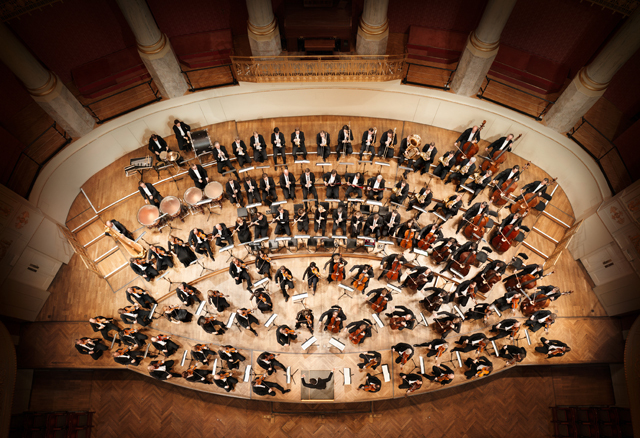 We do continue to need help in maintaining and building the orchestra! If you are interested in becoming involved, please get in touch with us! We played for several years in the chapel of Castro Valley's Neighborhood Church until in 2006 when the Castro Valley Center for the Arts (CVCFA) was completed. We have been fortunate to have that facility be our home for our 3 to 4 concerts per year and continue as a class of Castro Valley Career and Education (Adult School). In 2015, the board of directors of the orchestra registered the Castro Valley Orchestra Association (CVOA) as a California non-profit corporation whose purpose is to support the orchestra and see it, and music education, thrive in the area. The board members are made up of musicians in the orchestra and from the community. We are always looking for individuals and businesses that appreciate the arts and could support the orchestra's mission and activities. Besides coming to our concerts, if you are interested in becoming more involved--whether you play an instrument and would like to join us on stage, or have interest in bringing your professional or personal expertise and passions to our cause, please contact us! We would love to hear from you.